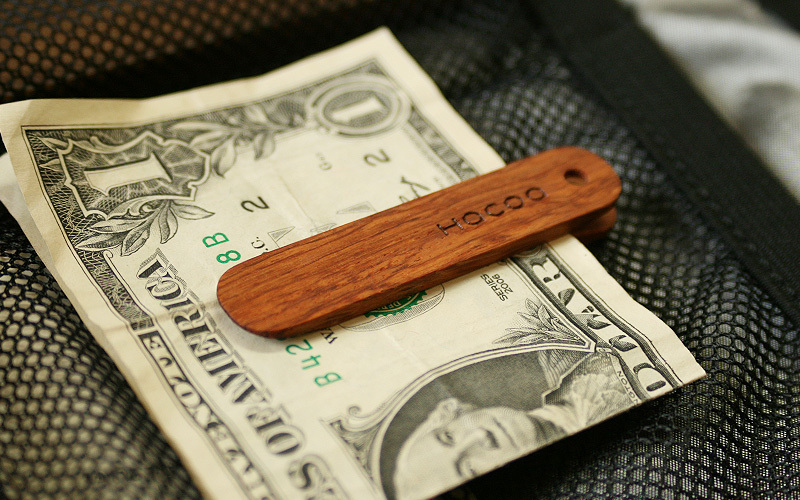 This money clip holds paper currency securely and releases it with one easy action like clothespins. 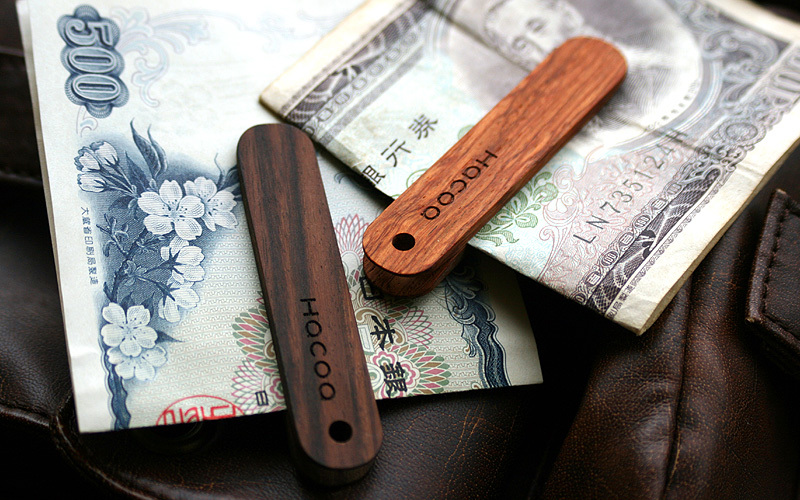 In spite of their small size, wooden components are finely finished by hand achieving smooth touch and comfortable grip. Its powerful magnets hold approx. 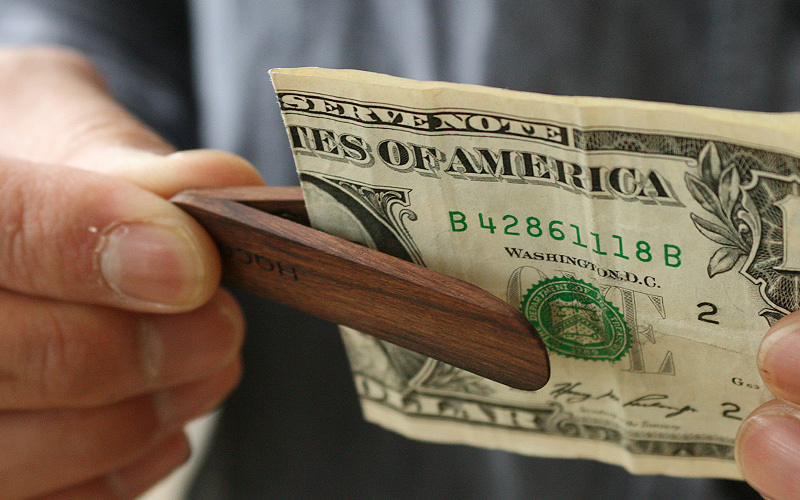 10 bills folded in half.